Although the main menu categories are salads, smoothies, and oats, I visited during the lunch hour, so focused on the first two. Because ordering both a smoothie and salad would have been too much food for me for one meal, my mom and I decided to split a salad and order separate smoothie bowls to allow me to eat around the menu. Things to note when reading the menu: the granola for smoothies is gluten and dairy-free (it's made with coconut oil), but the staff were not able to verify allergy information on the chocolate chips (to verify gluten or dairy). The oats-on-the-go bowls are made with gluten-free oats, but the oat bowls are not marked as gluten-free. I did not ask whether they were mechanically sorted or purity protocol. For dairy-adverse, look out for cheeses and yogurt in some of the dishes too. Other than those, everything else is naturally gluten and dairy-free. My mom and I split the large portion kale-ifornia dreaming, which is a kale salad topped with zucchini, avocado, qunioa, and chickpeas with a dressing featuring a serrano honey balsamic and blood orange olive oil. I absolutely loved the salad, which was fresh and flavorful in every bite. 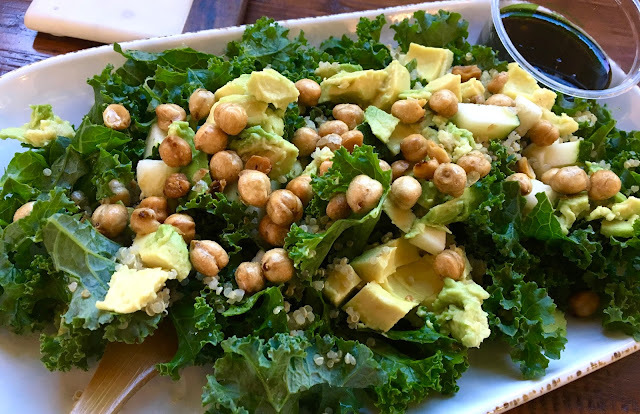 The chickpeas were crunchy and nutty while the avocado added a contrasting creaminess that rocked my tastebuds. The kale was not bitter- as it can sometimes be- and was perfectly paired with the vibrant dressing that definitely made a statement with notes of sweet and sour. The portion was generous and easily satisfied both of us. As my smoothie bowl, I ordered Anna banana bowl sans chocolate chips (because of the allergy uncertainty), with added honey. 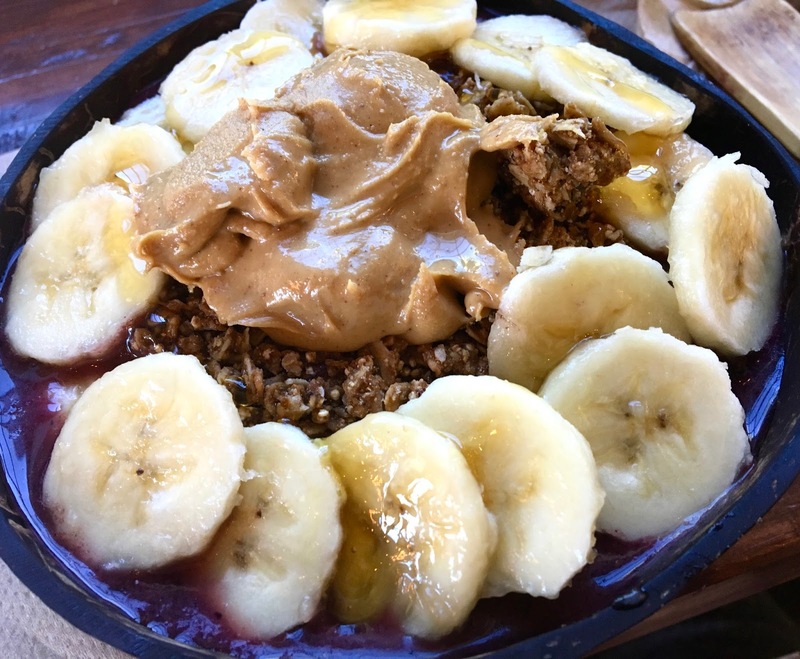 It's an acai-banana-blueberry blend with granola, banana, and peanut butter on top. The smoothie was sweet and slightly tart, but not overpowering, as they don't add additional sweeter beyond natural sugars in the fruit. The toppings added taste and texture, and I especially loved the peanut butter and honey with the smoothie. The honey added a nice burst of bright sweetness and the granola was crunchy and provided a texture contrast that made the bowl satisfying. I loved it, and the portion again was perfect. 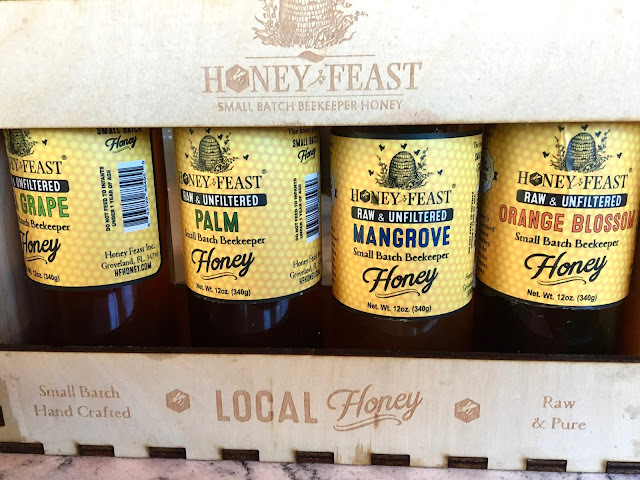 To add more honey to your bowl, Create Your Nature has Honey Feast honey on hand, which is a local Florida-made honey that's made in small batches. I added a little more orange blossom honey to my bowl as I ate through the top layer, and liked how they had several options of the natural sweetener. I really, really loved Create Your Nature, and wish I hadn't found it on the last day of my visit to Orlando. It definitely ranks among my top picks of Orlando eats, and I highly recommend it. The staff was friendly and knowledgable, the food was excellent, and the location prime, with a nice outdoor area where patrons were enjoying their food and playing corn hole with bean bags. 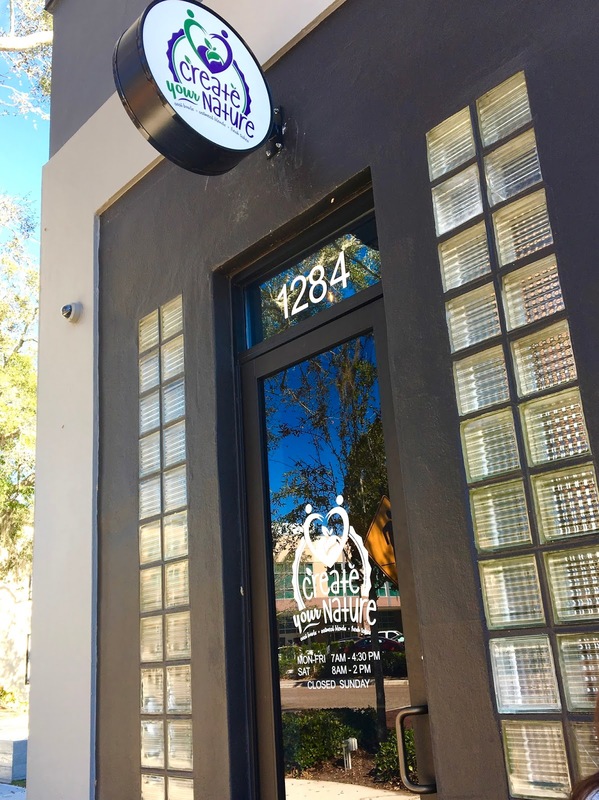 Orlando needs places like Create Your Nature to bring healthier options to the food scene, so I hope this cafe continues to have great success going forward.